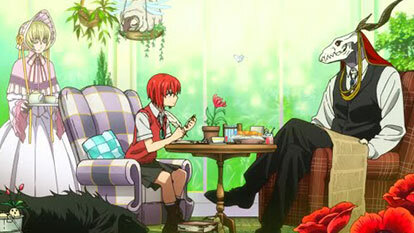 Hatori Chise, 15 years old. Lost, without hope, and without family, she is bought for money not by another person, but by a non-human sorcerer named Elias. Though she hesitates, she begins life anew as his apprentice and future wife. She moves on with her new and peaceful life, slowly but surely, until one day, when she finds a Japanese picture book among the many sent to her from London by Angelica. It is a fateful book that discovered her in her younger years, when she was still troubled and lonely. This piece is a prequel to Chise's encounter with the Thorn Sorcerer.